What Are Breath-Ability™ Nasal Strips? If you are looking for a fast, reliable, chemical-free, and absolutely safe solution for your snoring problem but also for nasal congestion and deviated septum, then take a look at our Breath-Ability™ Nasal Strips review. 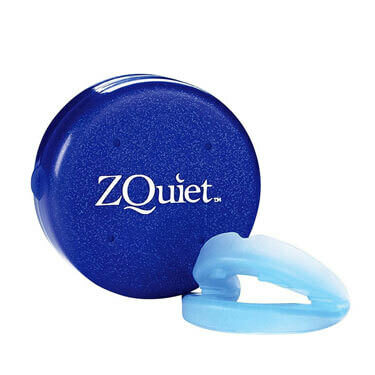 These quality nasal strips are highly effective against the mentioned issues, which is why we feel they deserve to be listed among the best snoring aids right now. The primary purpose of Breath-Ability™ Nasal Strips is to relieve nasal congestion, but they can also reduce or even completely eliminate snoring. 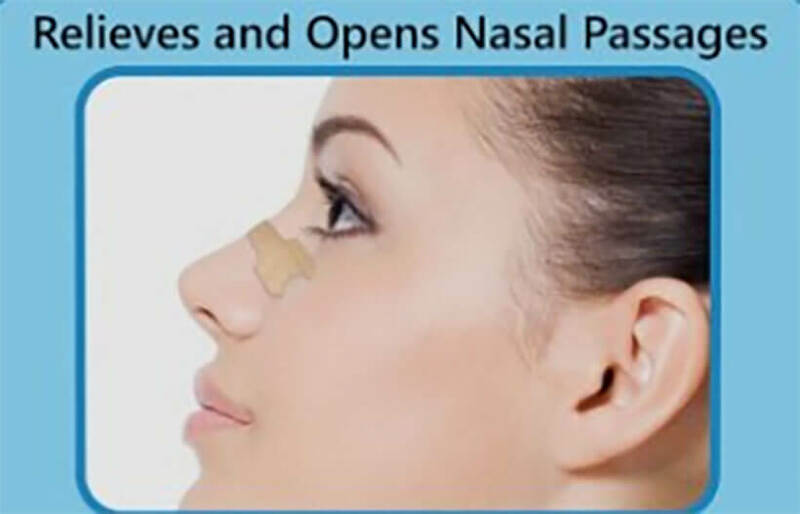 These nasal strips open up nasal passages, which may be congested or obstructed due to a wide variety of factors (deviated septum, polyps, allergies, cold, flu, etc). The ability to breathe right is essential for a good night’s sleep and it also has a lot to do with snoring itself. Breath-Ability™ Nasal Strips by Sequoia work by gently pulling your nostrils open and thus allowing for normal, regular airflow. These strips have an elastic band in the middle, which works similar to a spring. 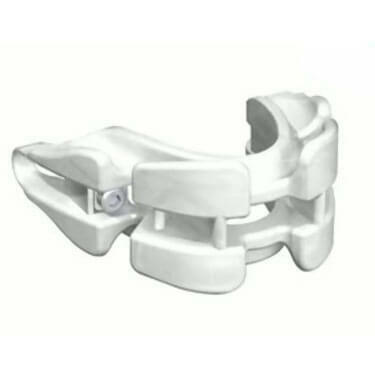 When you attach the strip to your nose, the band right across the bridge, it becomes slightly curved and tends to go back to the completely extended position. By doing so, it pulls the sides of the strip, which are attached to your nostrils, pulling them open. 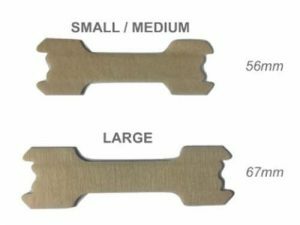 The strips come in two sizes – small/medium, which is suitable for some 70% of people, and large, for those with a larger nose. There is also an extra-strong version of these strips, as well as nasal strips for kids. 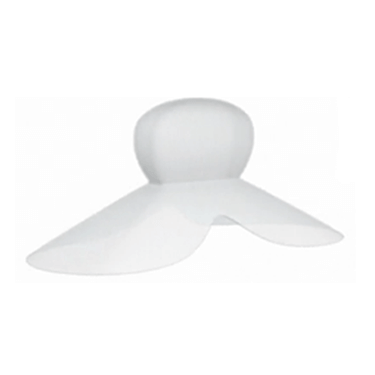 They are completely drug-free and do not contain latex or other substances and materials that may cause discomfort, irritation, and allergies. 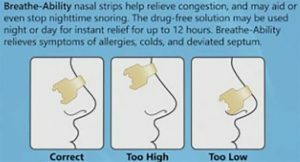 Breath-Ability™ Nasal Strips by Sequoia are, for many people, a better solution than snoring aids that go in your mouth (MAD and TSD devices, for instance) and chin straps. The main reason for this is because they are not only very simple and discreet but also completely safe and come with no side effects at all. Manufacturers recommend using Breath-Ability™ Nasal Strips By Sequoia every night in order to successfully solve the problem of snoring, or to at least reduce it. As we already said in our Breath-Ability™ Nasal Strips review, there are almost no side effects from the use of these nasal strips. Some may experience a strange feeling as the strip bends back and pulls the nostrils, but it’s still far from uncomfortable. The strips are very easy to peel off, easier than most band aids even. They generally adhere well, although sometimes they tend to slip off if you sweat during the night. Before applying a strip to your nose, it is crucial to make sure the skin is completely clean and dry. This is especially important for those who wear makeup and cosmetic products like lotions and creams and those who have oily skin. If there is any grease or dirt on the skin, the strip will not adhere properly. To apply a nasal strip, take it out of the package and peel the plastic backing. Place the middle, narrow part of the strip on your nose so that the sides are located just above your nostrils. You may need to try different positions before you find the one that works the best for you, which is why these nasal strips really start doing their magic only after a night or two. The package with 45 nasal strips (both small/medium and large), good for 45 nights, costs $10.99. The price is the same for a 45-count package of extra-strength strips, as well as for strips for kids. If you are still unsure if Breath-Ability™ Nasal Strips By Sequoia is right for you, check out the key advantages and flaws of this snoring aid. Our Breath-Ability™ Nasal Strips review has shown that these strips are a great solution for those who want to tackle both their snoring problem and their nasal congestion. They can be worn all the time, not just during sleep, although sometimes they tend to come off. These nasal strips are affordable and convenient, which is why so many people choose them. Our ratings are the result of an objective and independent evaluation of Breath-Ability™ Nasal Strips By Sequoia, generating the final rating that reflects the overall quality of the company. Ratings may change as the product introduces changes. Breath-Ability™ Nasal Strips By Sequoia user rating based on 5 user reviews. My nose is very small and these are still way too big for me even though they are marked small/medium. They also come off no matter how much you clean your face with lotions, soaps, you name it. The adhesive is just very poor. I think the spring itself is just too strong for the cheap glue they've used. I love that there’s a variety of different kinds of strips for the entire family. I use the extra strong ones and my wife uses the small/medium ones. They work very well and they are made of quality materials, you can just tell. Sequoia strips used to be so much better. I don’t know what happened there but the quality is kinda shoddy now. This is a decent brand of nasal strips. They are pretty affordable, at least for my budget, and I don’t plan on changing them for the time being. These nasal strips don’t stay on for the entire night when it’s hot and when they fall off I start snoring again. Other than that, they are fine, nothing special. We found 0 verified Breath-Ability™ Nasal Strips By Sequoia discounts for April, 2019. There are no Breath-Ability™ Nasal Strips By Sequoia coupons or discounts right now. In order to be sure that Breath-Ability™ Nasal Strips By Sequoia truly is the best solution for your snoring troubles, you need to know what makes it superior or inferior to its alternatives. Discover how Breath-Ability™ Nasal Strips By Sequoia compares to other popular snoring aids of its kind with our detailed feature and price comparisons and easily determine whether you are making the right choice.